Of Vagabonds and Bowler Hats | Theater | Style Weekly - Richmond, VA local news, arts, and events. Beckett's "Waiting for Godot" is still waiting for a plot. Bob Nelson is Vladimir and Bob Jones is Estragon in Henley Street's talky rumination on life, liberty and longing. It would be easy to label Samuel Beckett's "Waiting for Godot" as a play in which nothing happens, draw a "Seinfeld" comparison and call it a day. But the script is filled to the brim with explorations of suffering, the absurdity of life and mankind's inability to stand up against evil. There's a great deal to like about Beckett's existential masterpiece, but I'm not going to lie to you: The road getting there is quite tedious. That's not to say that Henley Street Theatre's production is lacking — if anything, the company's version is the best staging of the show you could imagine. Well-acted and executed, the production is unquestionably faithful to Beckett's work. Bob Jones' cartoonish Estragon plays well off of Bob Nelson's more serious Vladimir. Foster Solomon commands the stage with immense physical presence and a booming voice as the larger-than-life Pozzo. But it's Jerome Weiss' ironically named Lucky that emerges as the true standout performance of the show. As a slave to Pozzo, Weiss carries a lifetime of hardship on his face, and every movement showcases the actor's many years as a ballet dancer. The physical acting required by Henley Street's cast members is demanding, but they all follow through admirably. Director James Ricks makes the most of the comedy in Beckett's script, but the root of the play is mankind's incurable sadness and longing, a reflection of our existential condition. Jeff Clevenger and Ricks' set design of a rock and a bare tree are exactly what the script specifies, and a raked stage is utilized so that the audience can get a better view of the action. 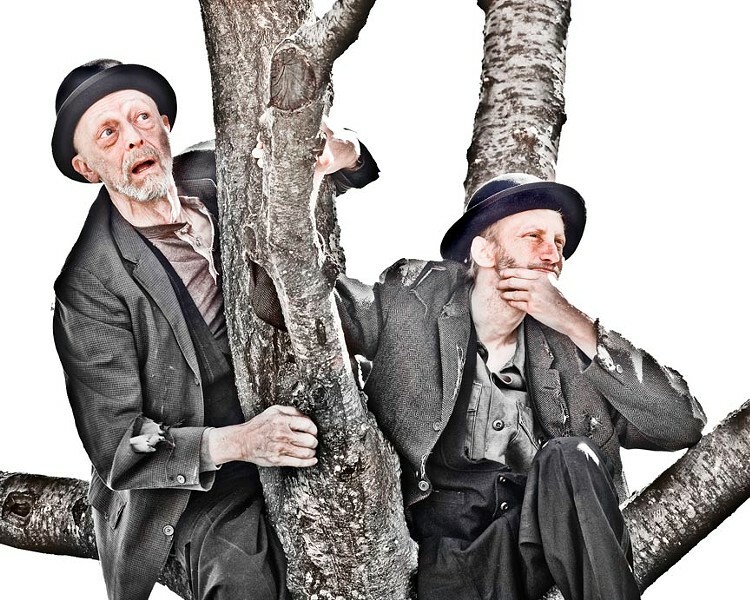 "Waiting for Godot" runs through April 30 at Pine Camp Arts Center, 4901 Old Brook Road. Tickets are $25. Call 340-0115 or visit henleystreettheatre.org for information.